In pursuit of more targeted therapies and clinically effective drugs, pharmaceutical companies are increasing their research and development activities in biologics. Although a majority of this work is focused on monoclonal antibodies (mAbs) and recombinant proteins, progress is being made in specialized drugs. Antibody drug conjugates (ADCs) are a new class of drugs that is gaining attention from both large and small pharmaceutical companies as they offer promise in cancer therapeutics. They consist of an mAb - an antibody that is specific to the target associated antigen, a cytotoxic drug - designed to kill target cancer cells, and a linker - that attaches the cytotoxic agent to the antibody. 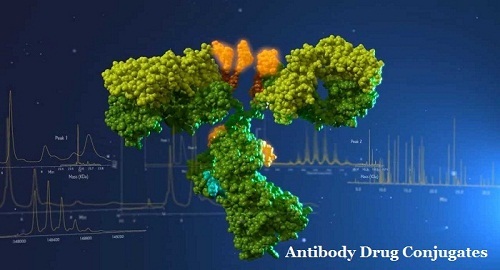 Thus, antibody drug conjugates combine the targeting ability of monoclonal antibody and the target specific cell killing ability of cytotoxic drugs.